Carry your stuff around in AMC's The Walking Dead style! 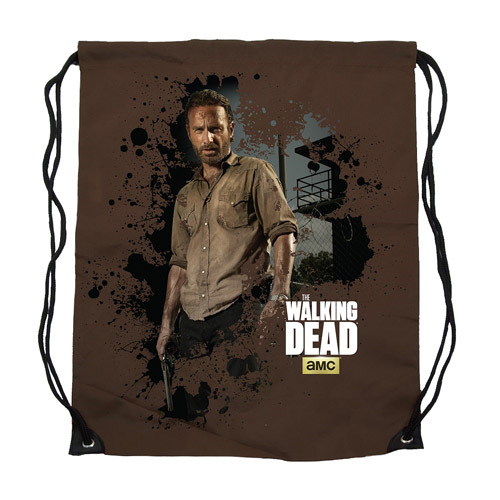 The Walking Dead Rick Grimes Cinch Bag is made from durable polyester and displays an image of the main character and sheriff, Rick Grimes. Bag features reinforced bottom PVC corners with grommet for polyester cording straps. Intended for light use. Measures 17-inches tall x 13 2/4-inches wide. Ages 12 and up.